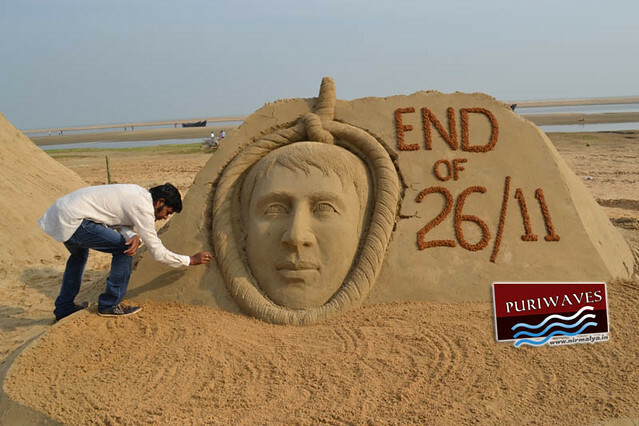 India’s well-known sand artist Sri Manas Kumar Sahoo has created a sand sculpture at the golden sea-beach (near Light House), Puri, situated at a distance of 65 km, from Bhubaneswar, the capital city of Odisha to celebrate the beginning of this year’s Common Wealth Games 2014. Sukhen Dey and K Sanjita Chanu stole the limelight by clinching a gold each in weightlifting, as India launched their campaign in the 20th Commonwealth Games with a flourish, winning seven medals in all on the opening day of the competitions at Glasgow. Judokas Navjot Chana and Shushila Likmabam had to be contend with a silver medal each after they failed to clear the final hurdle in the men’s 60kg and women’s 48kg events, respectively. There was a bronze for for another judoka, Kalpana Thoudam. Mr. Sahoo has prepared this sculpture to congratulate the Indian athletes who got medals. 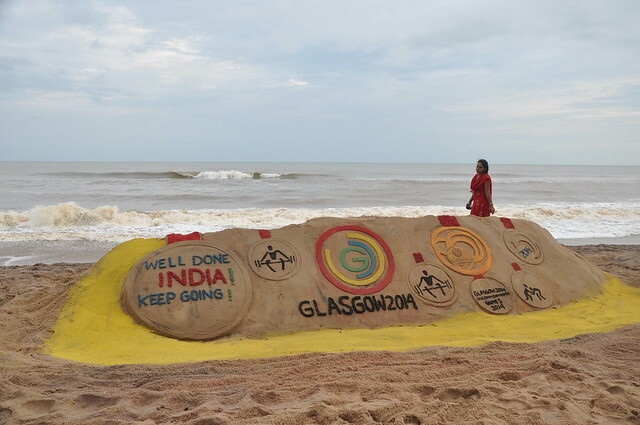 Through his sand sculpture he intends to inspire the athletes to bring more medals and pride for our nation among them all. This sculpture shows that the logo of the common wealth games and seven medals around it and with a message “ well done India ! Keep going ! ”. The sand sculpture is of the length of 20ft by using 20 tons of sand at a labor cost of 7 hours. 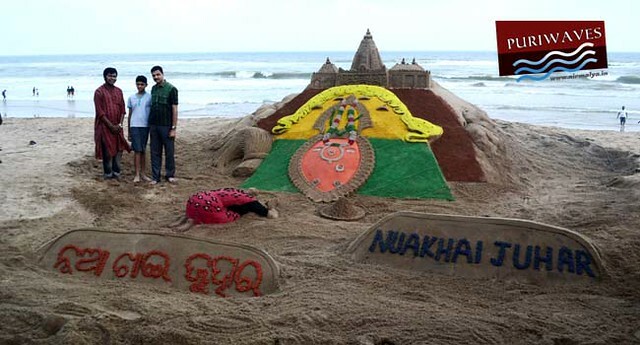 The nice idea of this preparation is appreciated by lover of art and culture, all visitors & tourists & people of locality.